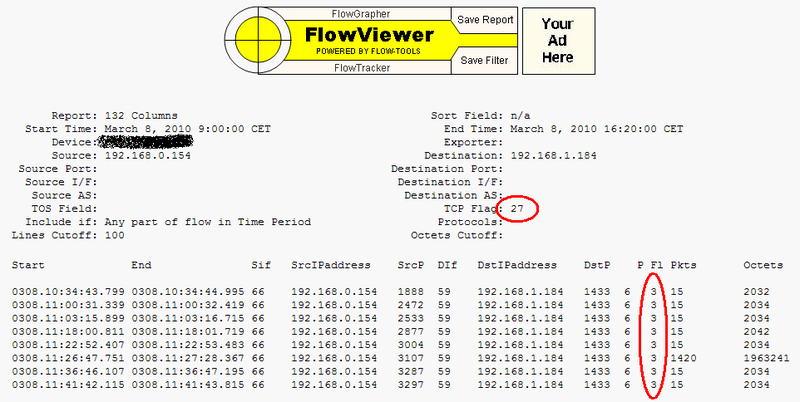 NetFlow: weird TCP flags in FlowViewer and flow-print? Here I applied a filter on TCP Flags = 27, but on the output I had the “Fl” (Flag) column reporting 3! What’s up? Is 3 a kind of alias for 27? Is this a math puzzle? None of this!